Figuring out visa availability is hard, and the stakes are high.If you apply too early your application will be rejected. If you apply too late, you might lose your place in line. We make it easy to keep track of your priority date and apply as soon as you’re eligible. Fast, Easy, Accurate. Let us help you find out if this is the right time to apply for your Green Card. CHECK YOUR VISA AVAILABILITY NOW! A minor, unmarried applicant applying on the basis of a sponsorship by a U.S. citizen parent. If you’re not an “Immediate Relative,” you need to check if a visa number is available before you can apply for your green card.Visa availability is decided based on an applicant’s country of chargeability, priority date and preference category. Your country of chargeability is your country of birth. Applicants who were born in India, Mexico, the Philippines or China usually have to wait longer for a visa number to become available than applicants from other countries. If you were born in India, Mexico, the Philippines or China and you are married to someone who was born in a different country AND your spouse is applying for a green card with you, then you can use your spouse’s country of birth as your “country of chargeability” if that would make your wait time shorter. In most cases your priority date is the date that your immigrant petition was received by USCIS. You can find your priority date on the Form I-797 Approval Notice you received when your immigrant petition was approved. Note: If you are applying for an employment-based green card based on an Approved Labor Certification, then your Priority Date is the date that your Labor Certification was filed. Filed a Form I-140 Immigrant Petition on the basis of an approved Labor Certification for a position requiring an advanced degree. EB-3 Skilled workers and professionals If you’re in this category, you filed a Form I-140 Immigrant Petition on the basis of an approved Labor Certification for a position requiring less than a Bachelor’s degree + 5 years of experience, but more than 2 years of training or experience. EB-3 Other Workers If you’re in this category, you filed a Form I-140 Immigrant Petition on the basis of an approved Labor Certification for a position requiring less than 2 years of training or experience. 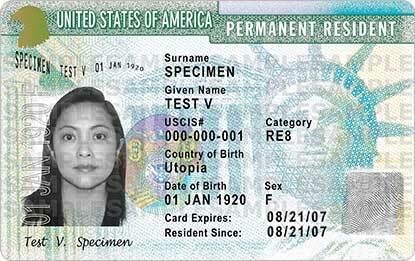 15)You are a religious worker and want a green card for the purpose of performing religious work in the United States. If you’re in this category, you filed a Form I-526 petition based on your direct investment in a project with the intention of creating U.S. jobs. If you’re in this category, you filed a Form I-526 petition based on your investment with a Regional Center with the purpose of indirectly creating U.S. jobs. Each month USCIS publishes the cut-off dates for each preference category so that applicants can determine whether this is the appropriate time to apply for green card.